All five of this year’s Oscar nominees for Best Original Score have something obvious going for them. The score for Gravity is for one of the year’s biggest blockbusters, that for Her has sentimental appeal, Philomena is a solid thematic score, Saving Mr. Banks captures the emotional tragedy of the main character, and The Book Thief is yet another well crafted score by John Williams. But on March 2nd, only one score will take home the prize. My pick, for reasons outlined below, is Steven Price’s score for Gravity. 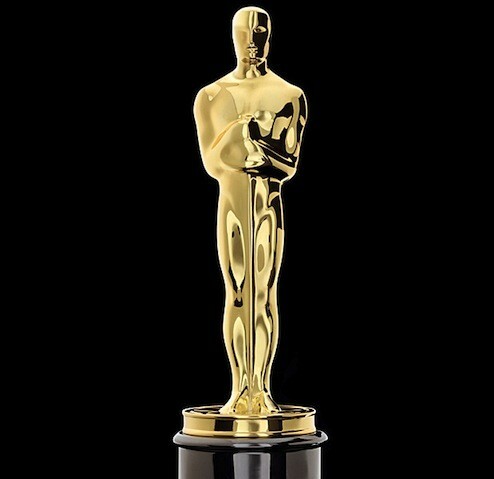 In each of the last ten years, the film that won the Oscar for Best Original Score was also nominated for Best Picture. This suggests that the scores for Gravity, Her, and Philomena have an advantage this year, their films having an accompanying nomination for Best Picture. But this pattern runs somewhat deeper, as seven of the last ten winning scores years were from films also nominated for Best Director. Of this year’s nominees, only Gravity fits that bill. The BAFTA for Original Music in a Film has tended to be hit-and-miss as a predictor for the Best Original Score Oscar. Only four of the past ten winners in this category have gone on to win the Best Score Oscar. But it is worth mentioning that this year’s BAFTA went to Gravity, which at least gives the score some momentum over the other nominees. Although the Golden Globes are decided by a different demographic than the Oscars, they have been a better predictor of the Best Score Oscar than the BAFTAs, with six of the last ten going on to win the Oscar. This year, however, the score that won the Golden Globe—Alex Ebert’s All is Lost—wasn’t even nominated for an Oscar. But I would point out that two of the nominees for the Golden Globes are also Oscar nominees: The Book Thief and, notably, Gravity. Price’s score for Gravity contains several aspects that draw attention to themselves in a way that meshes well with the film, thus lending the score a particularly memorable quality and giving it an edge over the other nominees. First, there is the highly emotional quality the score adds to certain events by being coordinated with them, events such as potentially life-threatening collisions and life-saving changes of setting, as I discussed in my analysis of the score. 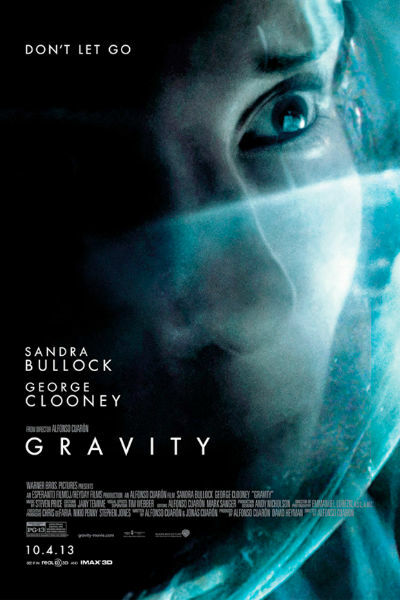 Second, Gravity contains the least amount of dialogue of all the nominees, so the music is more prominent than in the others. Third, there is Price’s use of what I’ve called the clipped crescendo, a technique where the music cuts off to silence just as a massive crescendo is about to reach its peak. Since it is heard at both the beginning and end of the film, as well as at critical points in the narrative, it vastly increases the score’s memorability and leaves viewers with a strong impression of the film’s score. Some pictures require a lot of music and some of them are so realistic that music would only hurt and interfere. While this overstates the case in modern films, the underlying point still remains true today: films that tend to need a good deal of prominent music are those based on some sort of fiction or fantasy, while more realistic films tend to need a smaller amount of less prominent music. 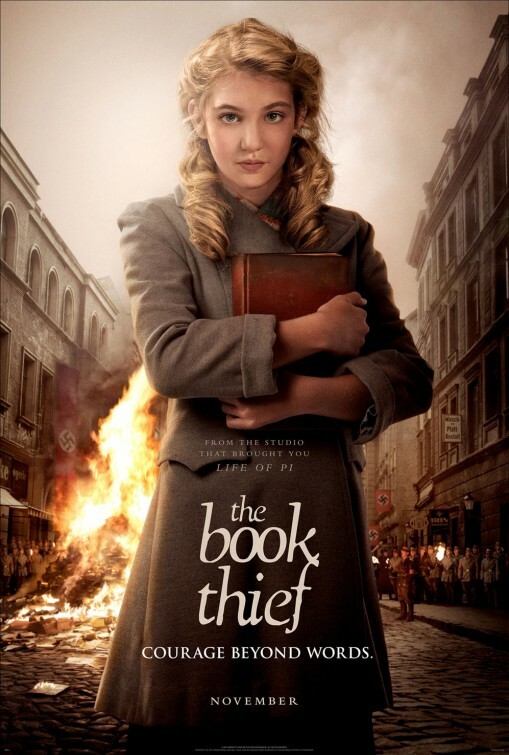 Of the five nominees, three are based on real events or take place in a real historical setting: The Book Thief, Saving Mr. Banks, and Philomena. Hence, their sense of being part of the “real world” generally means that less music is required to give them a believability that is crucial to audience engagement. What music there is tends to remain in the perceptual background for most of the film, rendering the score less memorable (though no less effective). On the other hand, films based on more imaginative ideas generally require a substantial amount of music to suspend our disbelief and draw us into the film’s more fictional world. Both Gravity and Her fulfill this criterion and indeed highlight music as an essential part of the film. In the case of Gravity, the film seems to ask “can you imagine yourself in this nightmarish situation?”, employing music to further immerse audiences in the film’s engrossing 3D presentation. In the case of Her, the fictional aspect of a man having a romantic relationship with an artificially intelligent being questions our reliance on technology and suggests that we need to re-connect with one another in more physical, indeed more human, ways. 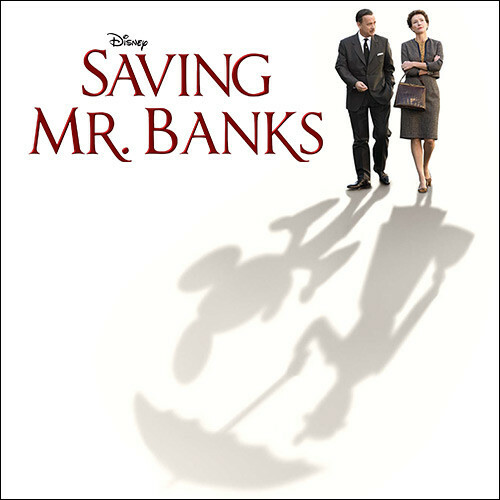 As I argued in my analysis of the score, music plays an integral role in conveying this message to audiences since it is such an important part of the relationship between Theodore (Joaquin Pheonix) and his computer’s operating system, Samantha (Scarlett Johansson). In addition, Her is the only nominee to also have a nomination for Best Original Song, as did last year’s Best Score winner, Life of Pi. Thus, it could help boost Her to win Best Score. From these perspectives, Gravity and Her have the edge over the other nominees. We must not forget that the production of films is a business like any other with profits as the bottom line. From this point of view, Gravity once again has the advantage since it finished 2013 with blockbuster status at #6 in box office revenues—the highest of all the nominees. Of the other four nominees, only two others are in the top 100, and a great distance from Gravity: Saving Mr. Banks at #44, and Philomena at #84. Her and The Book Thief fall just outside this range at #102 and #109 respectively. Gravity is also the only score associated with a 3D film, which is precisely the kind of film Hollywood is not only pushing these days, but also attempting to incorporate into more serious films, as Martin Scorsese did with Hugo in 2011. Great article, Ludwig! And I agree. …is actually inaccurate. The last 10 score winners were ALL nominated for Best Picture, and three of them (Finding Neverland, Atonement, and Up) still won without Best Director nominations. I think the point still stands, though! Of course you’re right, David. Thanks so much for this – I’ve changed the post accordingly. YOU’VE NAILED IT, MARK. The film did get the Oscar for music. Congratulations for being right on the money!!! Hiya, it’s great to see a site dedicated to film music analysis, there are all too few and it’s commendable. While ‘Gravity’ and its Oscar™ win are old news, I would beg to differ with a few of your suggestions. I read your analytical piece and while I would agree with elements, I believe that this score has been immeasurably overrated. It’s one of those scores everyone seems to say is brilliant but without being able to explain how. Now there’s nothing terrible about it at all, it’s a good score, it broadly works with the film, but it doesn’t do much beyond that for me, and there are dozens of scores about which I can say the same that never had a sniff of Oscar™ recognition. The score is yet another that seemingly follows the modern paradigm of assuming that being low key has to mean sacrificing musicality. Wandering electronic tones and drum loops are things we have heard plenty before. The ‘clipped crescendo’ as you described it, was indeed memorable, but only because it was one of the worst elements of the film for me. There is nothing innovative about using cheap-sounding cut-offs to highlight a beat. It has been the bane of trailer music and bland action scores for the last 20-odd years, and seemed a lazy way of addressing points of tension. Every time I heard it I was taken out of the film. Absolutely, it’s great that the academy is acknowledging good scoring beyond the realms of the traditional, but in this instance, there were other superior, more interesting, more dynamic, more narratively satisfying low key scores. 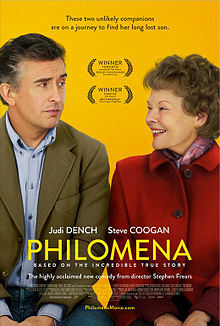 Philomena absolutely grips you, and one of my favorite things about the film walking out of it, was that the score didn’t succumb to the temptation to provide the kind of flaccid, dull, meandering piano-style thing these kinds of ‘gritty’ drama films often get. If anything Gravity could’ve done with a bigger emotional pull in its music because the main characters were pretty hackneyed. While Price’s score does address the emptiness in space and the sense of danger, I wouldn’t agree it effectively addresses the loneliness, the helplessness nor the character arc of the main character. Hi NM. Thanks for such a detailed and thoughtful response! I should say that one thing I usually avoid doing in my posts is to give subjective commentary on whether I liked or disliked a score. I try to focus on more objective and positive things that most could probably agree on. I agree that Gravity is rather overrated for the reasons you give. My aim in these posts is to try and get at what does work about controversial scores like this so that I and my audience can hopefully understand better why current Hollywood trends in film music are the way they are. After all, there’s gotta be something about them that is successful filmically, otherwise they wouldn’t continue to be composed. And while it is probably bound up with things like producing scores more immediately so directors and producers can hear what they are getting much earlier than ever before and use it for previews and promos, and accessing a style that likely ties into the synth-sweetened sound of rock concerts and video games, I have to think there is at least some merit behind these kinds of scores nevertheless. So I try very much to avoid the negative slant on such posts and instead focus on what positive aspects a score like Gravity has to offer. Nice thread. I just found this video on YouTube which has the Closing Credits music for the Academy Awards. Do you guys know who composed this? © Mark Richards. Content on this site may not be reproduced in any way without written permission from the author.